One of my things on my music photography bucket list is to take photos of a music recording process. We listen to the songs on our laptops and iPods and phones and other devices. We hear them live on bars and cafes and arenas. We digest the recorded song in its entirety, often getting lost in it once it starts. And when it ends, as all things do, we’ve become just a tad bit better persons. 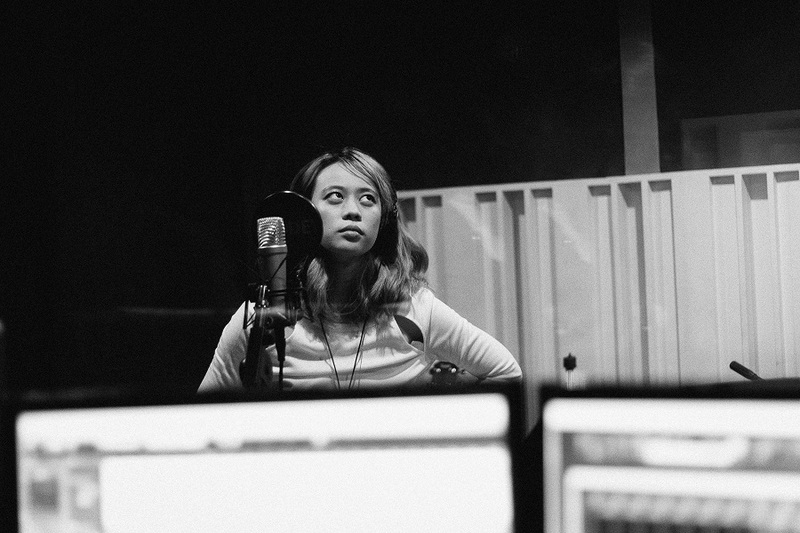 I had the opportunity to photograph a recording session of local singer/songwriter Reese Lansangan. It was an assignment of sorts as I’m part of her documentation team for her upcoming debut album. Documenting the recording process was one of the reasons why I applied to be part of the team. Aside from me being a huge fan of hers, of course. The studio wasn’t what I’d expected coming in. It was digital. I wanted to photograph a whole panel of knobs and switches that makes a song a song. But it didn’t matter, really, once I got there. I was on assignment and opportunities like that are rare for me. Take what you can get, right? I enjoyed the assignment. Got shots that I really like. I hope Reese likes them, too. I don’t really know if it captured her essence, but I realized earlier this afternoon that I tend to capture the drama in the music photos I take. Anyway, I post processed about a quarter of the photos in color. (STILL STRUGGLING!) But it’s alright. That much is true. The lady’s got a magnet somewhere inside her. Her album comes out December of this year. Do take a listen to it when it comes out. From what I’d heard at the recording session and from her live gigs, it’s gonna be a great one. PS. I can’t upload the whole set yet until after her album launch, but I’m permitted to post them individually as a promotion of sorts, I suppose. This is wonderful John, thank you for being there! I always wonder if it’s a bother for my docu team to come and shoot my activities, and I’m so happy to hear this from you! ❤ It was a pleasure having you, hoping that next time around you'll be there again! And no worries about your black and white style! Just shoot as you feel and I'll take what you give me! ❤ You're amazing!